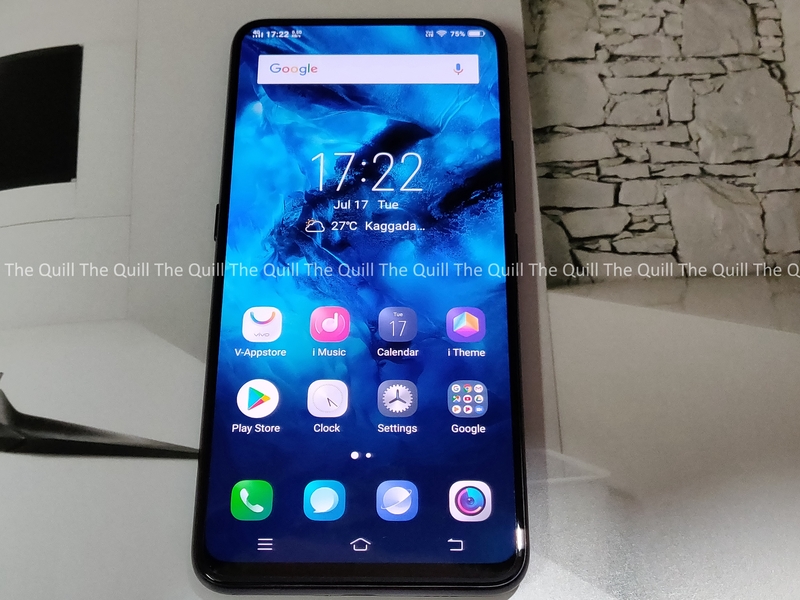 The flagship device from Vivo has a whole load of next generation features that have allowed Vivo to get as close to a bezel-less phone as possible today. 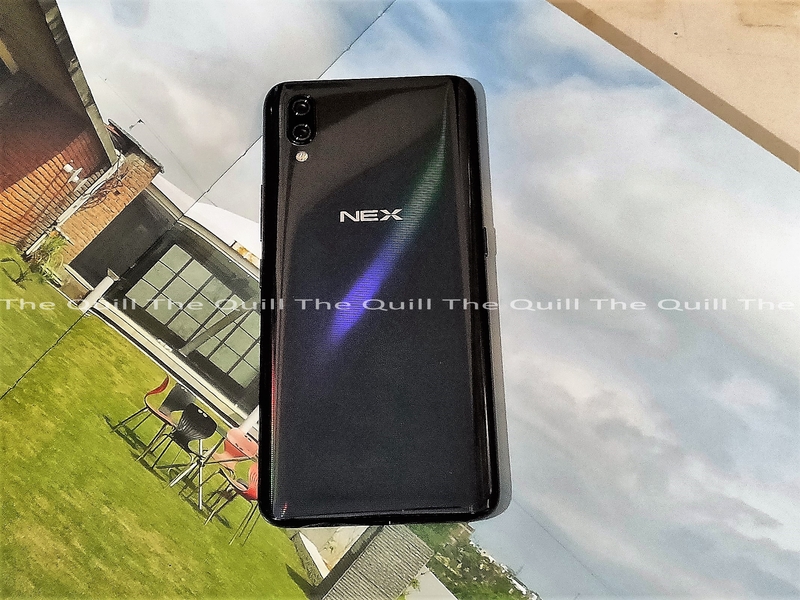 Vivo Nex’s pop-up camera is arguably its biggest wow factor and causes a lot of excitement wherever I take it out. Every time I made the Nex’s camera pop out from the phone, I was asked to “do it again” by people around me, the sound effect is pretty nifty too. It elicits almost childish and totally interesting expressions of wonder in anyone that sees it. It’s undeniably cool and the novelty hasn’t worn off even after a couple of weeks. But the only worry that nags me is the fact that this is a mechanical set up and eventually it will wear out one way or the other. Imagine if it doesn’t pop out one day or pops out and doesn’t go back in. Awkward possibility but a very real one. The next thoughtful innovation involves the earpiece , the one that you use to hear the other end of the line in a phone conversation. 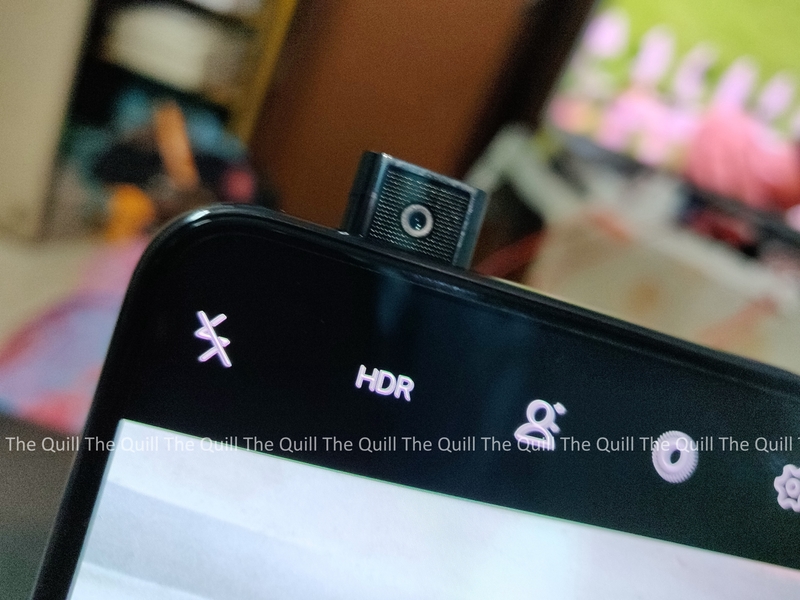 Where most other smartphones today have a hole for this in the body of the phone, Vivo has instead built the earpiece into the display itself. This means that there is absolutely no break in the screen real estate. The front is pretty much all screen. Very thoughtful and indeed very cool I would say. 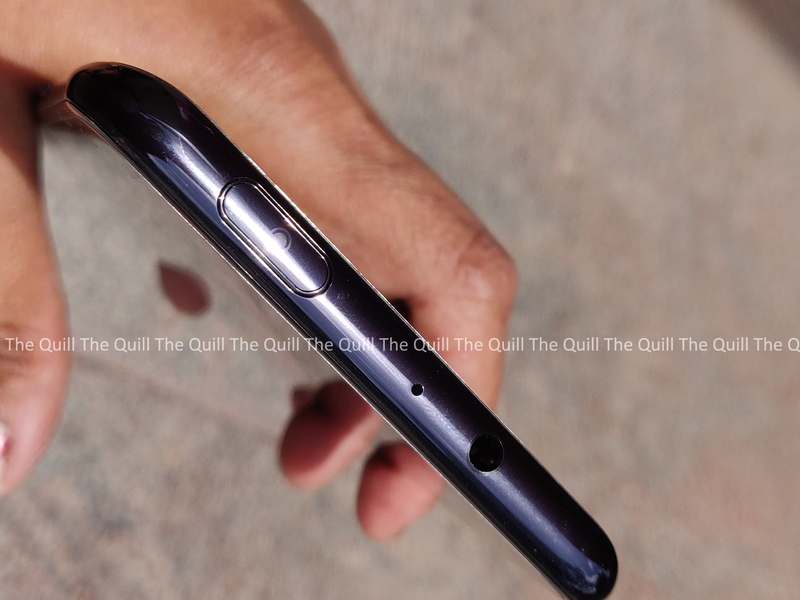 Actually, you can place any part of the screen to your ear during a phone call, and Vivo claims this should offer better sound quality in phone calls too. In my review, the new way of doing away with the earpiece works well and delivers good quality consistently. According to Vivo the camera module can push up to 500g in repeated trials, and it can apparently can be raised and lowered repeatedly up to 50,000 times and withstand up to 45kg of thrust force when extended. These numbers give us enough confidence to trust and invest in this new design. Hopefully Vivo has also thought about support and service accordingly. NEX features a left-side AI button for Jovi strictly dedicated to a full range of AI services. Press and hold this button and the AI Assistant is at your service. For AI Image identification, just point out the camera at an object and push the AI button, it will then look up the object online and display related search results and information. Pretty nifty and useful in day-to-day use if you ask me. When your phone is lying on a table, you’ll have to give it a gentle tap or a push or a nudge to activate the fingerprint camera or hit the power button. It wakes up by movement, so picking your phone up activates the scanner camera automatically. You can turn off the fingerprint logo on the always-on display in the settings, but when you do this you’re also disabling the camera, meaning that unlocking your phone from a screen-off state becomes actually impossible. This to me is a bit of a trade off but I am not complaining at all. The whole package of innovation far exceeds this minor peeve. When I put it through the review grind, the display was punchy and crisp. It delivered very good colors and images consistently. 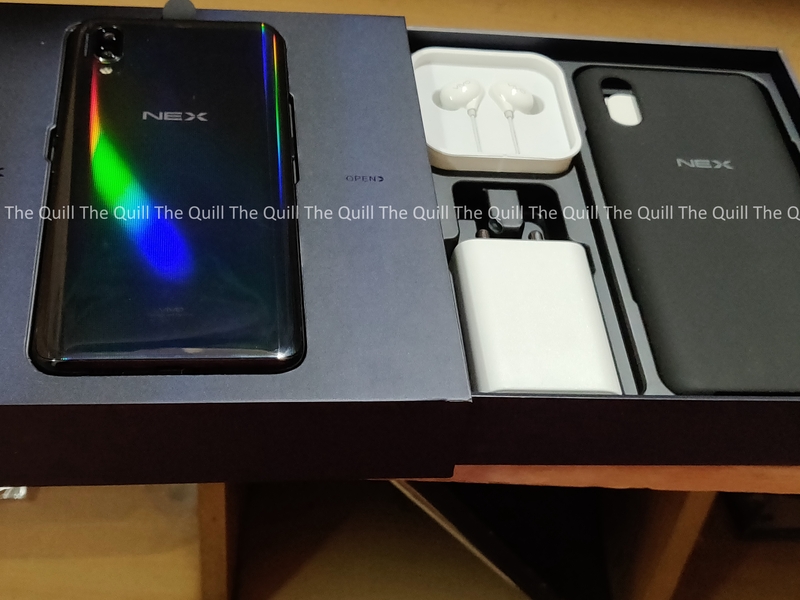 The phone breezes through daily tasks like greased lightning and there is absolutely no lag or stutter even when pushed hard with massive multitasking and resource-heavy apps. Gaming was impressive, given the screen, it was immersive and thoroughly impressive. Long video loops and hours of endless gaming were just clean and smooth. Thoroughly addicting and enjoyable. Call quality was excellent and the phone had absolutely no issues with making calls on LTE or playing music. The speakers deliver good room filling audio and there is no distortion at high volumes. The battery stands this powerhouse in good stead and a single charge got me through a day and more of above average use with a heavy mix of WiFi, 4G and a lot of social sharing and streaming.